Why: It’s 42! The ultimate answer to the ultimate question of life, the universe & everything. Nuff said! 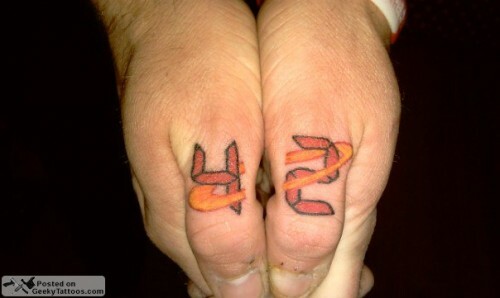 Tagged with 42, Brian Siegel, Guns N Needles Tattoo, Hitchhiker's Guide to the Galaxy, Jinx, knuckle, thumbs.